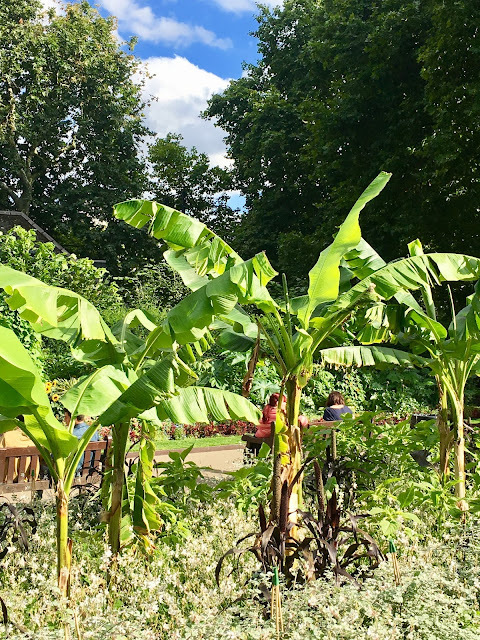 It was a lovely sunny day but still, the sight of banana trees in the Embankment Gardens just a few steps from the Thames in London made me do a double take. A quick Google search reveals that apparently there are hardy varieties you can grow even in our climate so if you want to give your garden a tropical feel, why not plant some banana trees? They are apparently actually herbaceous plants not actual trees and can grow quite big even in the UK. I can't promise you will get any bananas though and almost certainly there will be no edible ones so there's no point popping down to the park in the hope of some free fruit.